Our Happy Customers and Puppies!! I would like to thank all my Puppy Owners for providing my babies happy homes. 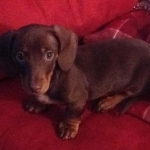 Now that you have your newest family member keep us posted with updates and pics as your Puppy grows into a happy & healthy Miniature Dachshund. Rhett is from Sonnet & Cameron's 2013 litter. He went to live with Doll & her family in Brandon,MS. J.D is from Aly & Cameron's 2013 litter. He went to live with Thomas & his family in Jackson MS.
Mater is from Sonnet & Cowboy's 2013 litter. He went to live with Lisa and her family in Biloxi. We just love her. 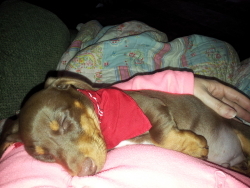 Shes spoiled rotten but we would not have it anyother way"
Raleigh is from Rocky's last litter. She went to live with Stacey & her family. 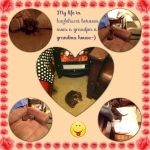 Hi, I just thought I would drop by to give you a few pics and update on Sassy! Sassy is from Amber & Cameron's 2013 Litter. She went to live with Ashton & her family ib Ocean Springs. Lucy is from Aly & Cameron's 2013 litter. She went to live with Donna & her family in Mobile, AL. Jax is from Aly & Cameron's 2013 litter. He went to live with Melani & her family in Arizona. Bella is from Sonnet & Cowboy's 2013 Litter. She went to live with Phyllis & her family in Arkansas. Chewy is from Sonnet & Cowboy's 2013 litter. 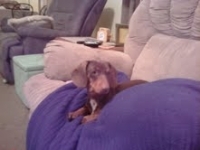 He went to live with Jeannie & her family in Columbus, MS.
hello Scarlett is doing very well. She gets along well with our maltipoo but our oldest is still being stand offish. she has the best personality and is a very good puppy. I will send pictures when I figure out how to upload them. Lol . Thanks again for a beautiful baby! We love her so much! Updated picture on Sophie. June 2013, about 6 months old. Khloe is from Amber & Cowboy's 2013 litter. Sophie is from Cher & Cowboy's 2013 litter. She went to live with Terry & family. Cory Brower May 5 to me I hope all is well with you and your family! I have been gone again for quite some time and am about to deploy again. My wife has been taking care of Randi and has fallen in love with her. I have attached a few pics for you guys. She is still tiny. Probably only weighs around 7lbs. I have family members who are interested if you have a litter any time soon. Thanks again for everything. Hi Lynell, Sorry it's tken me so long to send you an update on Jayjay. He's doing great!! I couuldn't ask for a better puppy. He is so playful. He took right to going outside to potty. And you have been a great help. Anything that I didn't know about raising a puppy you helped me with.You're like a puppy encyclopedia on Mini dachshund puppies! Jayjay is from Sonnet & Cowboy's 2012 litter. He went to Mark from Morton. Roux is from Molly & Joey's 2012 Litter. She went to live with Mandy & her new family in Madison,MS. Penny is a wonderful companion. She is still very small and has a really outgoing personility. Penny is from Molly& Joey's 2011 Litter. 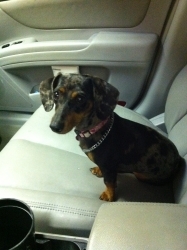 She went to live with Francess in Ocean Springs,MS. Tucker is from Molly & Joey's 2012 Litter. She went to live with Veronica in Hazelhurst,MS. 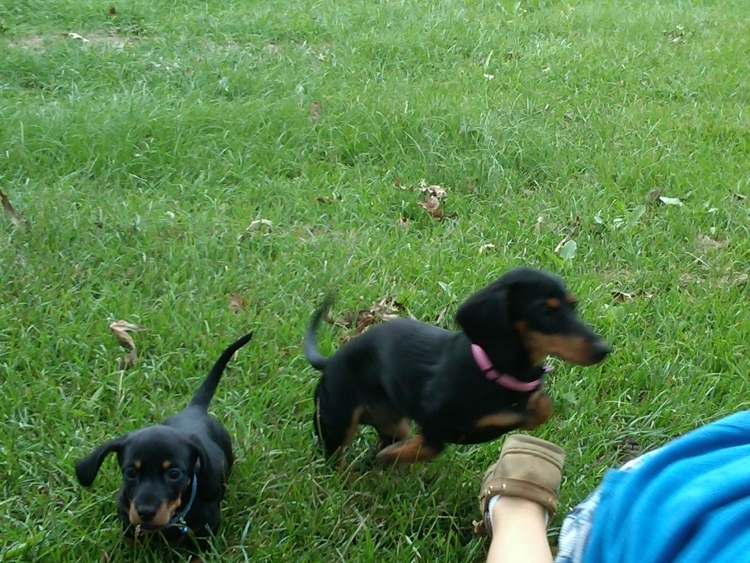 Liesl is from Sonnet & Cowboy's 2012 Litter. She went to live with Marsha & her family in Uma, Arizona. 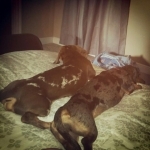 Woodee & Stonee are from Sonnet & Cowboy's 2012 Litter. They went to live with Roxanne in Indianna. Jill 11-09-2012 8:36:32 PM CST He weighs a total of 6.4 lbs and loves pig ears and his new super squeak toy! He is the friendliest little dude to every one. And we had a name change lol. He is a Toby now :) my brother convinced me he wasn't a Chipp he was a Toby. Toby has even agreed! Lol! Mallory Hotard Silas Lynell Franklin, thought you'd like to see them together, they are a mess so funny to watch, Allen renamed him so he is Stark (like Iron Man) now he is a wonderful dog, He was suppose to be David's but he follows me around like a shadow he's so wonderful, the both of them are everyone who meets them loves them. Thanks for such wonderful pups. Shes doing great! We decided to name her Lola, like Lola bunny from Space Jam, because she hops like a bunny when shes running. Shes adorable! Shes Jacob's best friend, she follows him around everywhere, it's so cute! The vet visit went very well! We took her Tuesday and she is in full health. She said we should give her a little more food than we do because she is a little on the skinny side but other than that she's perfect! I took her to Petsmart today to get her a couple more chewing toys (she never stops chewing lol) so I got to show her off =) oh and she Loves to cuddle! If she's not chasing the cat (whose afraid of her lol) or Jacob she's in my lap snuggled up. We just love having her she's so wonderful! 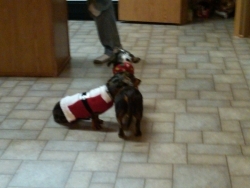 Rue using Turbo as head rest in their Christmas sweaters!! 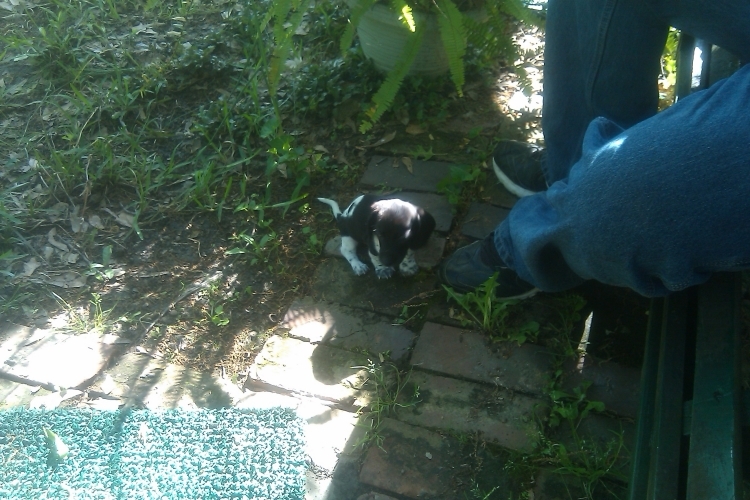 Mallory Silas alnsmom@hotmail.com 07-23-2011 11:38:29 AM CST Lynell, I just sent you a few picture of Rue, they are on my phone, they might now be great but I love her to pieces, she is so much fun and adorable, my black lab is terrified of her its the funniest thing! She is a wonderful puppy !!! Chanel is now a year old!